If you’ve always wanted to read your e-books in a larger font (or in the bathtub), this could be a winner. Whether you read before bed, in the bathtub, during your commute or at the beach, Kobo wants to be there for you. The e-reader maker just released the $229 Aura One, a 7.8-inch waterproof slate that features a colored backlight for better nighttime reading. I've been trying to find time to read with an Aura One for the past week, and I have to admit the tub and bedtime friendliness of the device are huge benefits. The Aura One meets the IPX8 waterproofing standard, meaning it can be submerged in up to 2 meters of water for up to 60 minutes. It held up under the running water of my shower, although the screen became a tad finicky when wet, flipping pages even without me touching it. 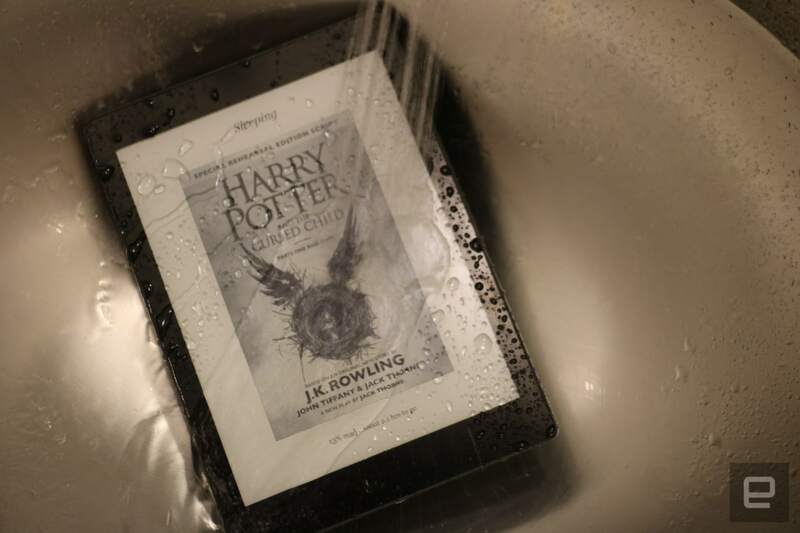 If you're reading in a bathtub (not under running water) or by the pool or beach like most bookworms, you probably won't find the water to be a huge interference, and you can easily wipe it dry after a dip. Also, the grippy back has a textured finish that made the One feel sturdier and easier to hold onto when wet. In addition, the company built in a front light system that uses RGB bulbs instead of just white ones. This is supposed to make e-reading before bed less detrimental to your sleep patterns. Researchers have found that blue light suppresses the production of the sleep hormone melatonin more than any other light, so staring at an artificially lit screen at night can make falling asleep more difficult. Also, according to Kobo, warmer-colored lights can signal to your brain that it's the end of the day, so it can start preparing your body for slumber. With the Aura One's software, you can select the exact color temperature you prefer from a scale of blue to red. 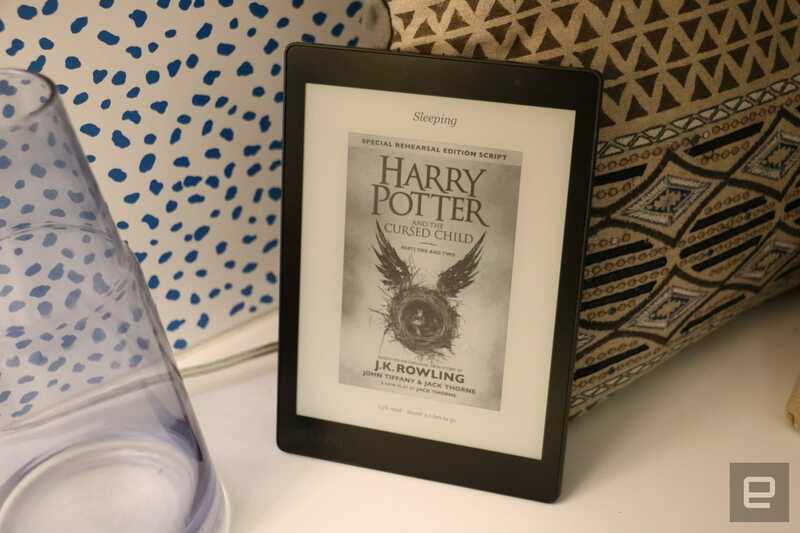 You can also program your typical bedtime, and the e-reader will automatically change the front light color gradually throughout the day so that by the time you're reading at night, your e-book is lit by a warm orange glow. Those who have used Apple's Night Shift mode in iOS 9.3 and up will find this familiar -- it's basically the same feature. Because I was born and raised in modern times when electricity was plentiful, I wasn't used to reading by candlelight, which is what the orange light here is meant to mimic. But the Aura One's more reddish tone definitely felt better for my eyes compared to my iPhone's screen in the dark, which often felt as if it was burning my retinas off. Another piece of good news for my eyes is the Aura One's generous 7.8-inch footprint. The larger screen allows for bigger words that are more comfortable to read than on my relatively tiny Kindle (second-gen). Its sharp 1,872 x 1,404 resolution gives it the same 300 pixels-per-inch screen density as the Kindle Oasis, which has a 6-inch panel. And despite the larger display, the 230-gram One did not feel too heavy, as I held it up for 15 minutes before passing out. Of all the new features of the Aura One, though, I'm most excited by a less obvious addition. Last year, Kobo's parent company, Rakuten, bought audiobook and e-book company Overdrive, which Kobo said is the largest provider of e-books to public libraries. The Overdrive integration means that when you're looking for books to buy in Kobo, and you have a library card, you could choose to borrow the book instead. That's fantastic news for Scrooges like me with a library membership. At $229, the Aura One undercuts its closest competitor, the Amazon Kindle Oasis, by about $60. 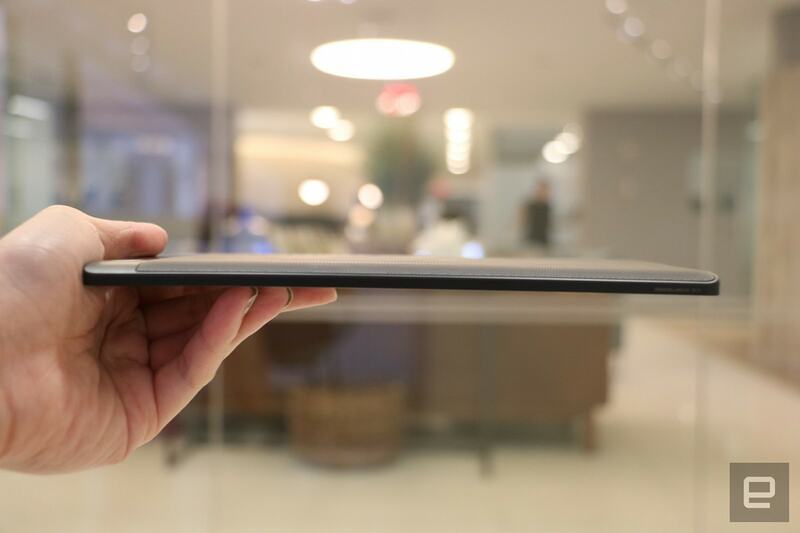 But not everyone wants a larger e-reader, and those who want a thinner, lighter slate will still prefer the Oasis. Amazon has some nighttime reading tech of its own, including a "blue shade" mode in its Fire tablets, which blocks blue light and lets you read by red or yellow light. 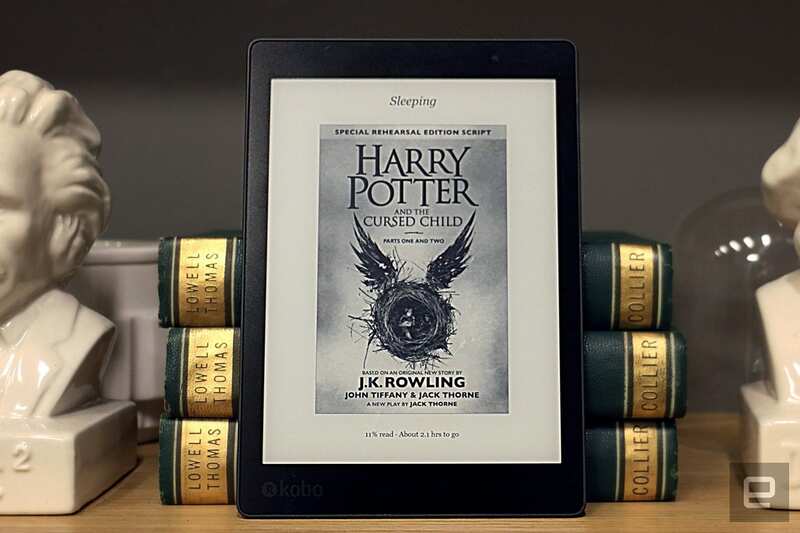 Its Paperwhite e-readers also have a so-called night mode that inverts the color scheme to white text on black, which is easier on the eyes. Also, while Kobo has more than 5 million titles in its store globally, Amazon carries 4.6 million books in the US alone. For those who read a lot before bed, though, and don't want to worry about getting their device wet, the Aura One looks to be a solid option.